​Examine what is “mind,” its nature and function, and how it affects our experience of happiness and suffering. Come explore the differentiation between mind and brain, mind as the creator of our experiences, and the implications of possessing a mind that has no beginning and no end. In addition, learn methods to transform destructive thoughts and attitudes and create a positive and joyous mind. 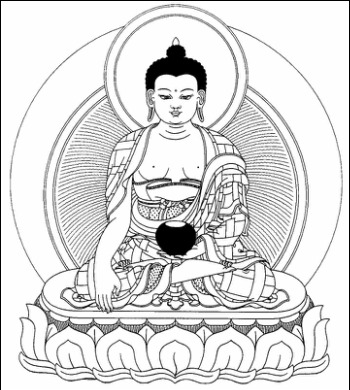 Shakyamuni Buddha line drawing by Robert Beer. This is the first module of the Discovering Buddhism program, and anyone is welcome to attend.